In process improvement, a SIPOC is a tool that summarizes the inputs and outputs of one or more processes in table form. 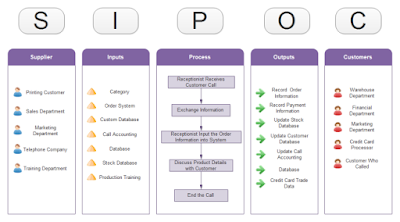 The acronym SIPOC stands for suppliers, inputs, process, outputs, and customers which form the columns of the table. I (input): All that is used (mostly as variables) to produce one or more outputs from a process. It is worthwhile to note that infrastructure may not be considered as inputs to a steady-state process since any variability induced by such elements remains fixed over longer periods of time. P (process): Steps or activities carried out to convert inputs to one or more outputs. In a SIPOC, the process steps are shown at a high level. O (output): One or more outcomes or physical products emerging from a process. C (customer): Entity that uses the output(s) of a process. The focus is on capturing the set of inputs and outputs rather than the individual steps in the process. To construct a SIPOC diagram, begin with a high level process map, usually consisting of four to five steps. 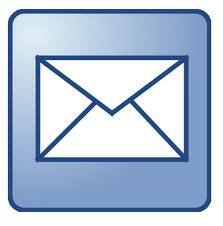 Then list outputs of the process, followed by the customers who receive the outputs. 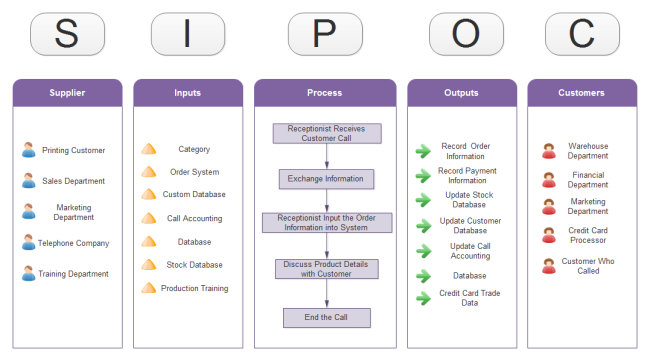 Then turn your attention to the front end of the SIPOC, with a listing of the inputs to the process and their suppliers. By completing the SIPOC prior to beginning a project, the team prepares for the project by collecting examples of input and output reports, gathering forms used in the process, etc. SIPOC diagrams also help to confirm the scope of the improvement project. Most of the initial project work revolves around understanding the current state process. The SIPOC is a key tool to help the team understand and communicate the current state and the bounds of a given process as well as who might be critical to engage as the project develops.